Here’s a chance to get some fast growing chicks that will make delicious, broad breasted, chicken to be prepared by your favorite method of cooking. 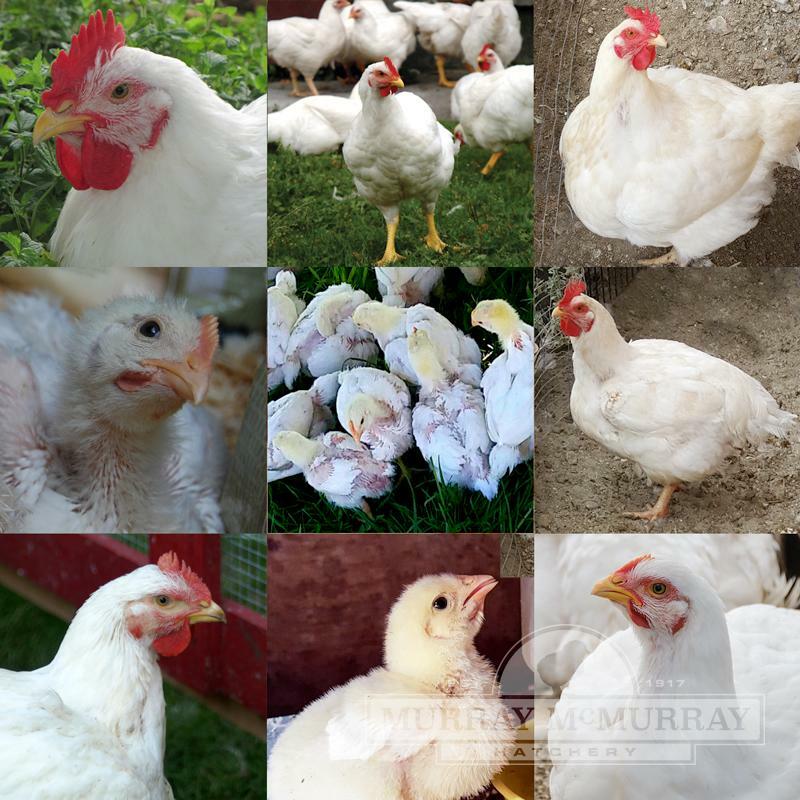 Mouth watering flavor, mostly white meat, golden yellow skin, easy to dress white plumage. Our choice of breeds but all of these chicks will be Cornish X Rocks and/or Cornish Roasters. These will make dandy broilers or fryers for the summer family picnic and put some in your home freezer to enjoy them the year round. If you want to let them grow they will make beautiful tender roasting chickens. 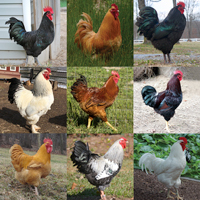 Please Note: Cornish Roaster, Cornish Game Hens, and Jumbo Cornish X Rocks are hybrids. Therefore we do not recommend breeding, they will not produce the same high quality in the next generation and due to the extreme rate of growth they will be too large at time of sexual maturity to breed successfully. how much food do the chickens eat during there life time? It depends on what your feeding schedule is. We do recommend limit feeding these birds since they will eat a lot if allowed to. At what age can you cook these? You would typically butcher between 8-12 weeks depending on which breed you receive in the package. The chicks are not vaccinated unless you request them. 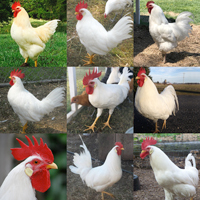 We offer Marek's Disease and Coccidiosis. We recommend feeding a broiler or meat bird feed. No hormones are added to help them grow quickly. Since these are fast growers, can you tell me where to get information on feeding and what age they mature. Just anything helpful would be very appreciated. Thank-you! We do have some information on raising the meat breeds. I will try attaching it here, otherwise we can email it to you. AMAZING!I ordered 25 of these and you sent 26 not one died. There was one runt but she is still alive. I butchered 10 of them at almost 7 weeks old. They ended up being 3.5 Lbs ea, this might not sound very large but when they are practically all meat that makes up for it one that was 4 lbs was large enough for 9 people.